When we were getting ready to move house towards the end of last year we obviously spoke to the girls about it lots to get them ready. To be honest Holly was too young to understand and would just reply ‘ok mummy’ and Alice was happy because she would be near her new school and friends. But there was one thing that was bothering Alice, she would be sad to leave behind her new bed. Bless her little heart, she hadn’t realised that we took all our furniture with us. So when I explained to her that it would be coming with us along with everything else in her room, she was even more excited about the move. I guess as parents we sometimes take it for granted that they understand the concept. Since moving house a few weeks before Christmas both the girls have settled in amazingly well. 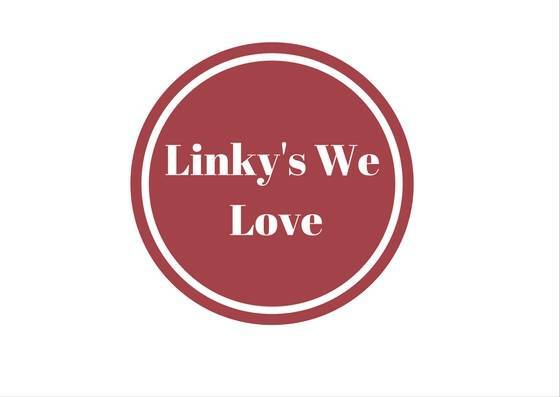 They both loved their new rooms and we worked hard to get their rooms looking great as quickly as possible to make them feel settled. 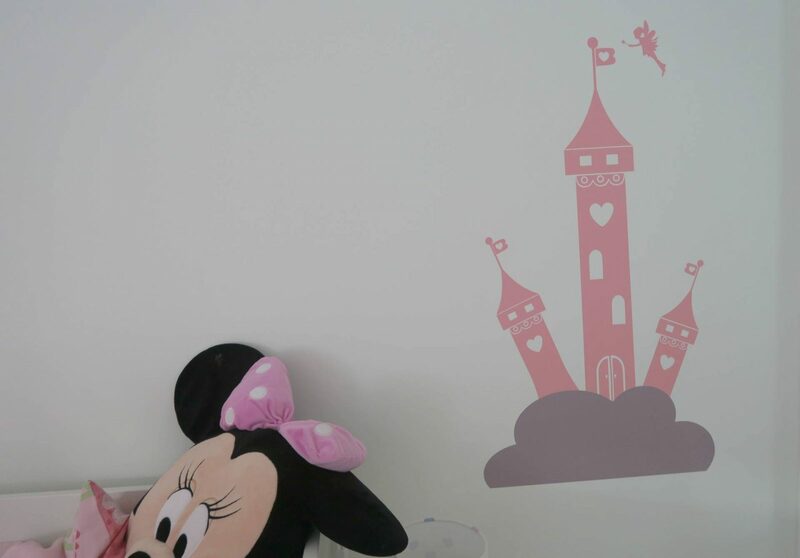 In Alice’s old bedroom she had pink walls, with one wall having heart wallpaper that matched her curtains. But of course the wallpaper was the one thing that we couldn’t bring with us. Recently Alice has been asking if her room could be decorated, at the moment all our walls are white. I really wanted to get straight to work on their rooms, as I think its so important for them to have a safe haven in their bedroom. A place that feels like their’s, for them to play in, read in and of course feel safe enough to close those eyes and fall asleep. 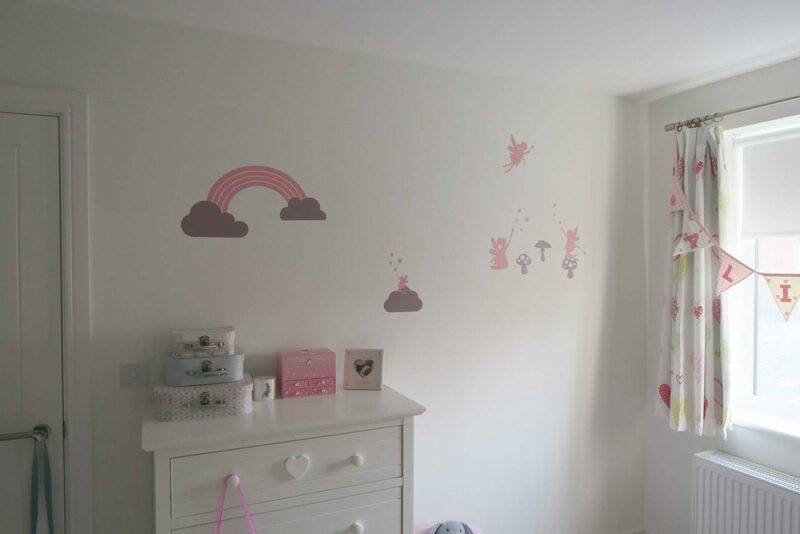 For a a child to go to sleep they need that comfort and after the upheaval of the move I wanted to give Alice a nice new look to her bedroom. 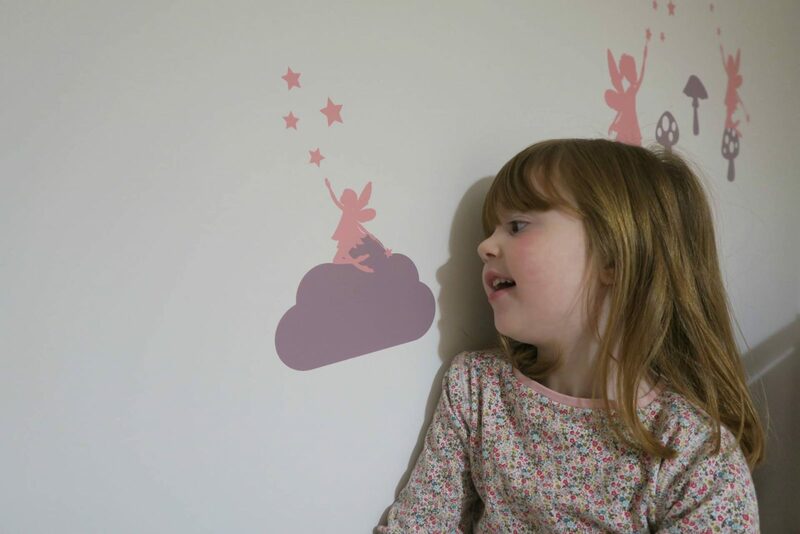 Alice is a girly girl, she likes pink, she likes princesses and fairies and I’ve been working with Stickerscape to create a new look for her bedroom. 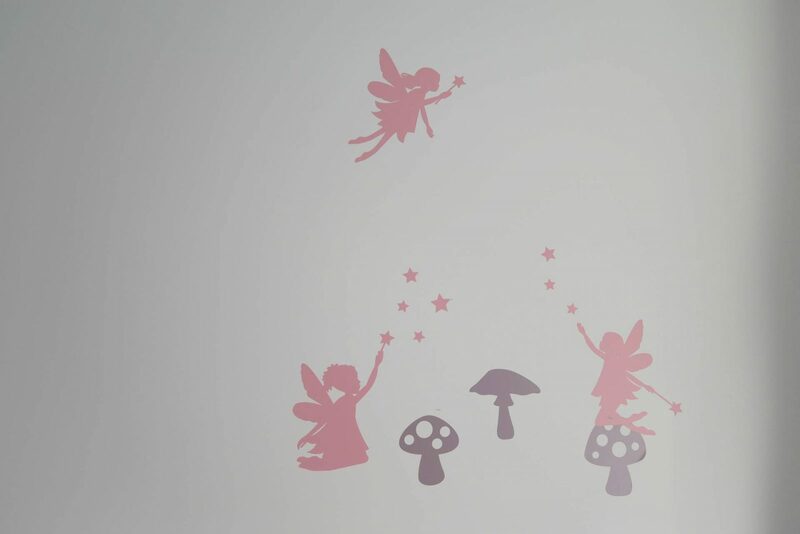 As the house is brand new and the walls are all freshly painted, I decided that using wall stickers would be the perfect option and Stickerscape have so many wonderful options available. For Alice I chose a fairy theme and planned where I would like the stickers to go and matched it with what they had available. Some of the stickers have the option of small or large which was brilliant. Plus they all have measurements, so you knew how big or small they would be. The way the site is set up it was great to find other stickers that compliment each other and I finally had all the stickers that I needed for her room. With Alice at school and Holly at preschool I had the perfect opportunity to get Alice’s room ready as a surprise for her. The process for putting the stickers on the wall was fairly straight forward and the instructions easy to follow. I was lucky to have my mum on hand to assist me with the larger stickers, otherwise I may have struggled with the height chart. 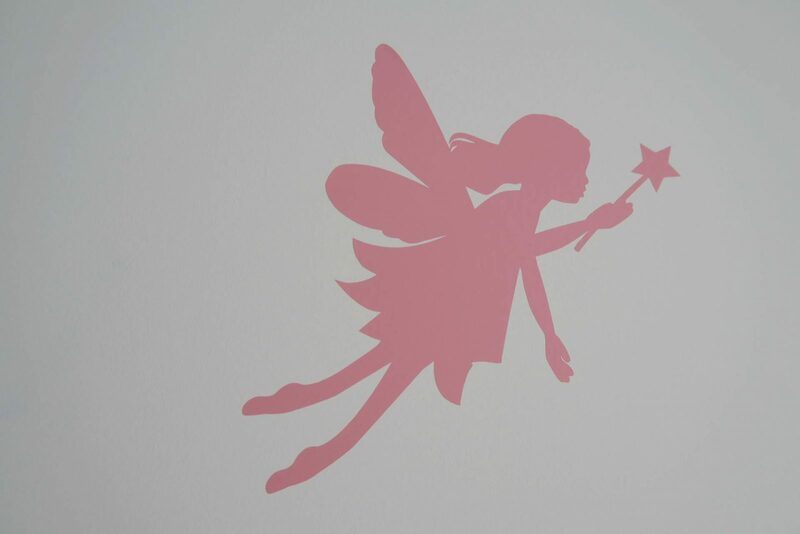 I love the way wall stickers can completely transform how a room looks. The quality of the stickers is so good that they almost become part of the wall. 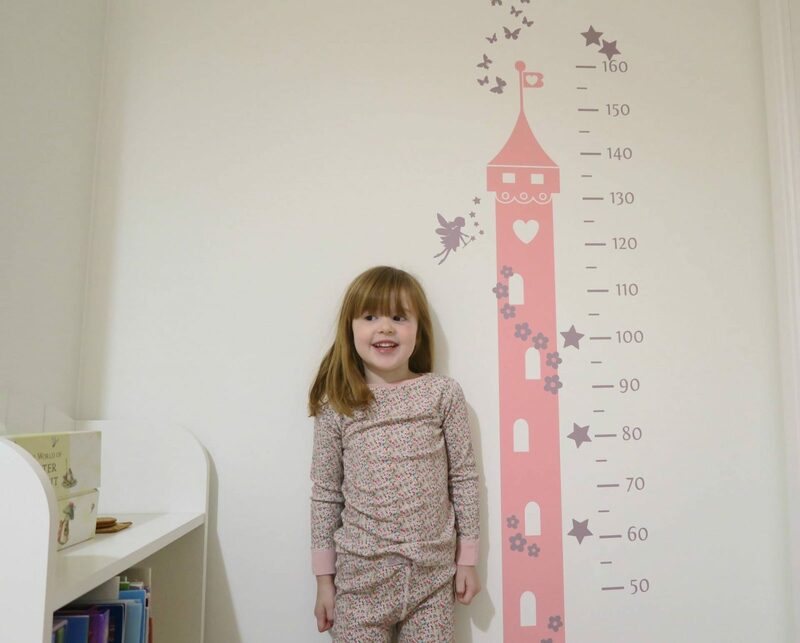 I was really pleased to be able to include a height chart in Alice’s room, we had a paper one in our last house but it got ripped in the move. There is no chance of that happening now. Alice is always intrigued to see how much she has grown and to now have one in room is a dream come true for her. With the large stickers safely on the wall, my mum went to collect Alice from school and took her home for dinner. This gave me enough time to finish the room off before she arrived back. The whole room took no time at all and it was really easy to do. 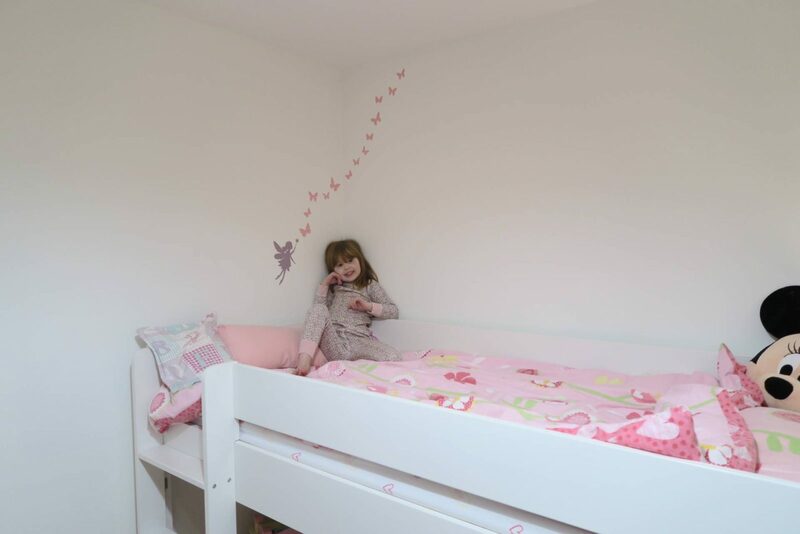 Thankfully she loved it and with her all ready for bed she was happy to have some photos taken in her new bedroom. Of course the crazy silliness that comes at bedtime happened and the girl were having lots of fun. As I was tucking Alice into bed that night she told me it was the best bedroom ever and I am a clever mummy. Well, my heart melted, those words are all I need to hear to know that my little girl loves her new room and that she has well and truly settled into it. Oh I love these, they’re super cute. I’ve been looking at some of these lately but they were all over the wall, much too big for my liking. These are lovely and subtle, I might have a look at them. I had decided to paint them myself but this would be much quicker. Oh how gorgeous! And I recognise the height chart from your Living Arrows post! I’m glad they have settled into their new home and rooms. I love the way stickers can brighten up a room so quickly and easily. Oh I adore the height chart! It’s beautiful. 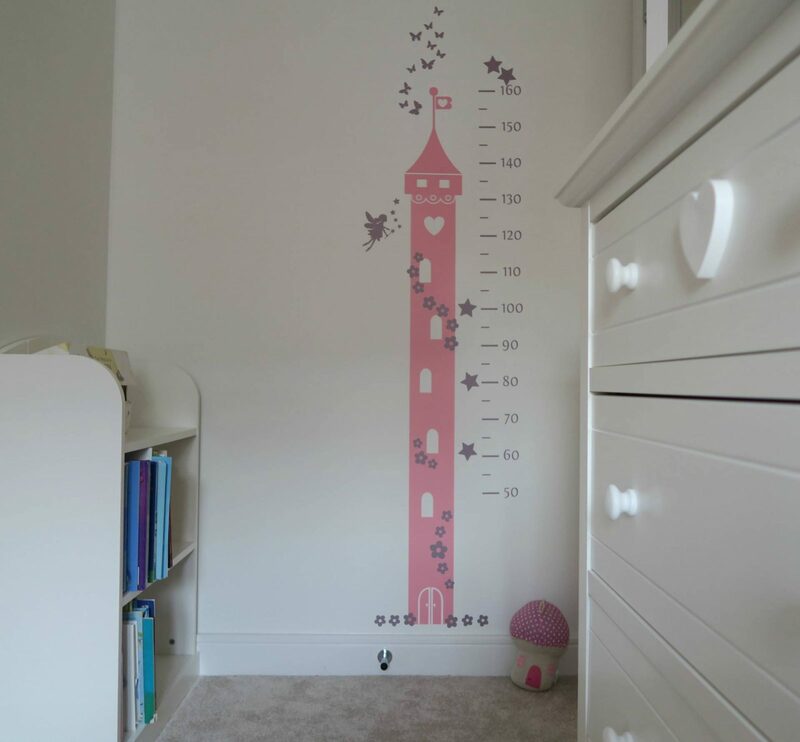 This is so lovely – and I love that she said it’s the best bedroom ever and that you are a clever mummy. How sweet!